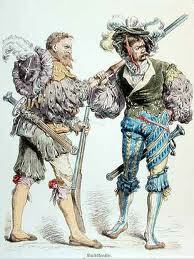 This entry was posted in Poetry, Writing on November 29, 2011 by lauralibricz. Eighteen years ago today I was in a six-bed room in the Women’s Hospital in Erlangen, Germany after 36 hours of labor and the birth of my second child, a son. After being in labor for 24 hours with the birth of my first child, not even a year and a half before, everyone said that the second birth would be easier. But I hadn’t believed them and the panic set in ten weeks before the baby was due. In order to combat the panic, I went to birthing classes at the Women’s Hospital. We got to know the facilities there and meet the midwives. They would ease the anxiety. Giving birth in a well-known University Hospital, we would be in the best hands. The Women’s Hospital had a bad reputation back then because the house was, I think, built in the 1920’s. But medically we were surrounded by the best of the best and the Children’s Clinic was connected by a catacomb. After being in labor for 24 hours, I decided against my better judgment to go to the hospital. We got to the maternity ward and there was a big sign: Delivery room is closed for renovations. Wonderful. They led me to a two-bed room and told me to make myself comfortable. I asked them if they could do this without me. I had other things to take care of. They said no, I had to stay there. “Can we get you anything to make you more comfortable?” the nurse asked. “A schnapps and a cigarette, please,” I said. The night went on and on and about 2 am they got tired of watching this. They put me on the drip that makes the body contract. This was comparable with opening up a black hole inside my body. I think I turned green, my head spun around and I believe to this day that I levitated. Today, that little 2700 gram baby is a big, strappin’ guy. Happy 18th Birthday, Jan! 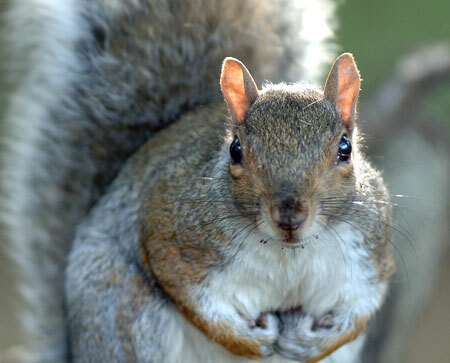 This entry was posted in Germany, People Watching on November 24, 2011 by lauralibricz. So, I said the lyrics are the mind of the song; maybe because I see, think and feel in words. I can choose a word to pinpoint an exact feeling. String them together, I create an idea. I can twist them and turn them like a melody. I entertain myself. Words just play on in my head like a radio. So it’s my chosen medium. Like a painter with colors. Like guitarists with whatever they do with that thing. Poetry is personal and quiet. I don’t feel that poems necessarily need to be shared to retain their potency. But a song comes alive when people hear it. And it’s a twofold challenge—the lyrics can be powerful but the singer can either bring the message across or let if fall flat. A good example is the song Run written by Gary Lightbody and then done (in) by his band Snow Patrol. The same song sung by Leona Lewis brings me to tears. My taste in music wanders from my favorite genres when I only think in terms of lyrics. I tend to get all mushy here. Sorry, folks. I used to love trippy-drippy lyrics (like Close to the Edge by Yes which I can still recite today. All 25 minutes of it) but I’ve become more of a realist in my old age. Here’s my Top-Ten List and the same guidelines apply here. They are in no particular order. There are plenty more but I still have 20,000 words to write this month. k. Lots and lots written by Bernie Taupin and performed by Elton John. There are too many favorites to whittle it down. This entry was posted in Uncategorized on November 16, 2011 by lauralibricz. OH! Love Locks—hanging from the steel cables. I get it. Kay said she saw something like this in Paris, too. 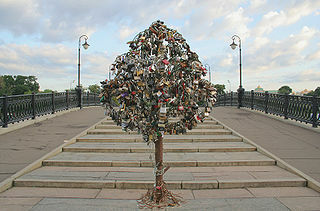 The custom of fixing a padlock to a bridge (or a lamppost, like in Rome or a tree, like in Moscow) by two lovers and then ceremoniously throwing the key over the side can be traced back to that lamppost in Rome. 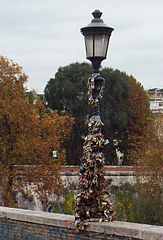 Graduating students from Florence would fix the lock from their locker to a lamppost on the Milvian Bridge, a bridge over the river Tiber. The custom was made even more popular by lovers in the book I Want You by Italian author Federico Moccia. 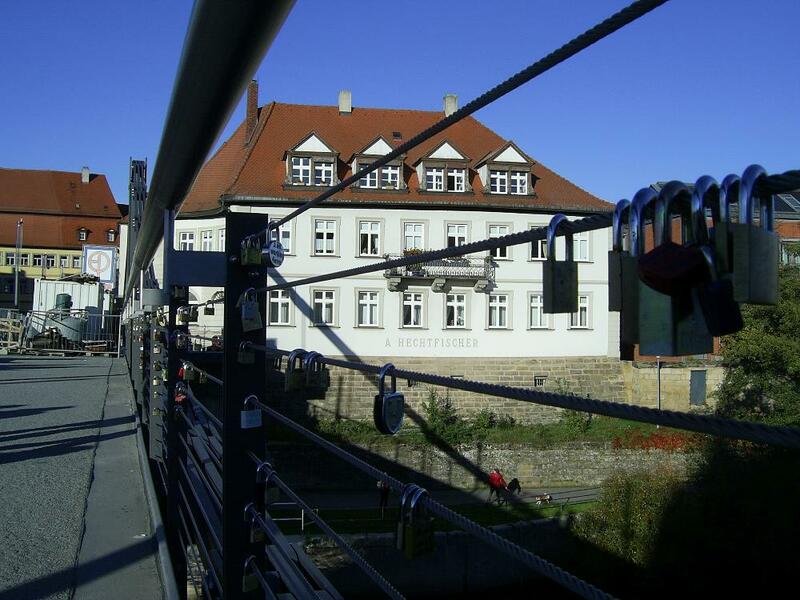 The number of Love Locks on the Bamberger Kettenbrücke today is 566. They even have their own website! http://www.liebesschlösser-bamberg.de/ And, of course, the city is threatening to cut them all off. It seems the galvanized nickel from the locks chemically reacts with the steel cables of the bridge and speeds-up the rusting process. What a shame. Experts say that at 25€ the meter, the city could easily replace the steel cables every 15 years, or not? This entry was posted in Bamberg on November 13, 2011 by lauralibricz. After WW II, lots of Germany families bred rabbits for meat. The rabbit’s pen was small and could be kept on the balcony of an apartment, in the cellar or outside in the garden. Rabbits could withstand cold temperatures and could be kept outside all winter, as long as they were dry and not standing in a draft. When asked today, some folks from this post-war generation won’t eat rabbit meat anymore. They’ll say they ate so much rabbit as kids, they couldn’t bear another bite. But some still keep rabbits because they are easy to raise. Instead of throwing away vegetable peelings, the rabbits will eat them. They eat grass (not from the lawn mower, though! ), hay, cooked potatoes, apple and potato peels. And rabbits born in the spring are ready to be prepared in the fall. In Pennsylvania, we seemed to have grown up on a dish called Chicken Paprikash. It is a stew made by sautéing onions, adding powdered paprika and letting it lightly brown, maybe a bit of stalk celery, too. After adding chicken broth to make the soup, the meat is added. I make it in a pressure cooker, so I bring the pressure up for about a half an hour, then take off the pressure, open the pot and add potatoes. Then the soup is thickened with flour and milk. I add a nice dollop of sour cream and serve with a fat piece of buttered bread. I make this dish with rabbit, because rabbit has a delicate, light flavor and is easily overpowered by other recipes. Rabbit tastes like chicken. Also, this dish is very handy for hiding all sorts of light meats of unidentifiable origin. As a child, we seemed to eat a lot of Paprikash during small game hunting season. It all tasted like chicken, right? 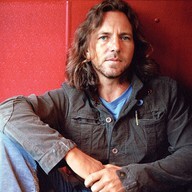 This entry was posted in Food and Drink, Germany on November 7, 2011 by lauralibricz.